Relocating the whole joint, in fact, there were over 90,000 joints had to be moved in this warehouse relocation. When Zimmer purchased Biomet recently the two business had to become one, and this task became the job of Business Relocation Services. When we refer to joint we mean human joints, hips, elbow, knee, shoulder, foot and ankle joints. We recently completed office and warehouse relocation of the Biomet office and warehouse facility from North Ryde to Belrose where we integrated the stock, staff, and instruments into the Zimmer office and warehouse facility at Belrose. Biomet had approximately 9800 line items and 230,000 units in those line items for this warehouse relocation. We established a sequential labelling system and shelf space analysis to work as the relocation had to be completed shelf to shelf in sequential order over the weekend. 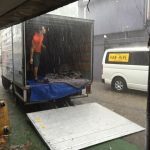 A smaller part of our team of packers and movers commenced the packing and relocation of the non-essential line items on Thursday this included instrument kits and non-essential stock supplies on Thursday morning. Relocating the stock from shelf to shelf in sequential order was the whole priority for Biomet and integrating their warehouse system into the Zimmer stock system at Belrose. Given the timeline of the warehouse relocation and the transitional changes to be implemented into the merger of the two businesses the planning for the relocation had to be detailed to ensure that the two unique businesses came together as one? The main relocation of over 8000 line items was undertaken from Friday lunchtime and was all completed and checked off in the new location by a stock take process ensuring all items were accounted for in their correct location on the new shelves at Belrose. Having completed this component of the relocation the only difficult part of the office relocation accompanying this warehouse move was the 70 stairs to the office level of the old Biomet facility at North Ryde. Forty-four staff were relocated with all their files computers and sample products to the new office at Belrose. The only issue a few removalists had with this office and warehouse relocation was that some of the guys caring the items down those stairs might be seeing more of the Zimmer again in the future when they need some joint therapy themselves. I just wanted to drop you a note to say what a great job Nicolas and the team did with the move. Nothing was too much trouble and both Dan and I really appreciated Nic’s high level of communication.